30-day Business | Culture Bootcamp. Are You Asia Ready? 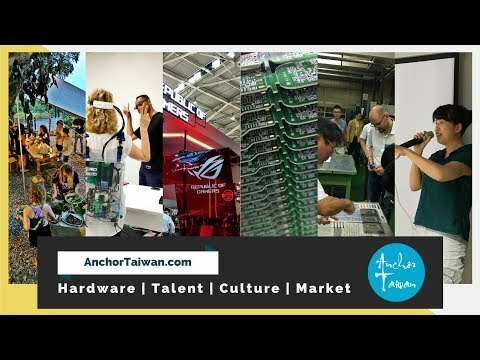 Anchor Taiwan is your turnkey solution to experience and succeed in Asia. It is a 30-day residency program in Taiwan for global shapers, entrepreneurs and location-independent professionals. We believe in the power of trusted partnership and cultural immersion. The program is designed to help you advance to the next level, both professionally and personally. We make it happen with our high-touch, personalized engagements for each participant, powered by our extensive outreach and access on the ground. Imagine 30 days with: ➤ High-end private accommodation & co-working space in central Taipei ➤ Connections with regional business/government leaders and glocal networks ➤ Innovation tour to visit some of the most successful companies ➤ Highly customized island adventures & cultural orientation/exploration ➤ Fireside chats with TEDx speakers; hiking to the next level with Forbes 30 under 30 Enjoy instant access to the start-up ecosystem and the culture scene in Taiwan. With our outreach, Anchor Taiwan maximizes your exploration and growth, minimizes your burden with planning and bureaucracy. See samples of our mentors and partners below. Anchor Taiwan no tiene ninguna noticia disponible.